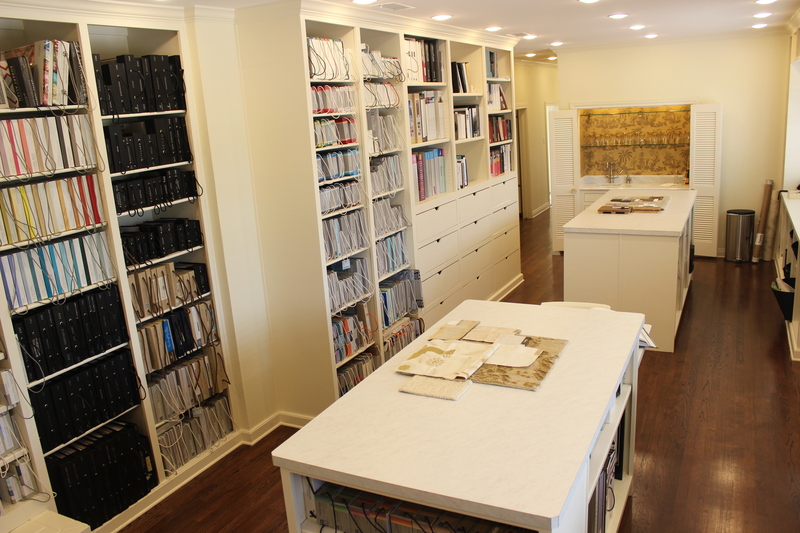 The Design Office Of Leslie Hendrix Wood Interiors! Designing an office for myself (instead of someone else) was a BIG DEAL!! After working for a great design firm in downtown Midland and building a name and reputation for myself I was ready to go it alone! Just last week an invitation came to join with fellow bloggers to link together and present a behind the scenes look into our design offices! Such a fun project! 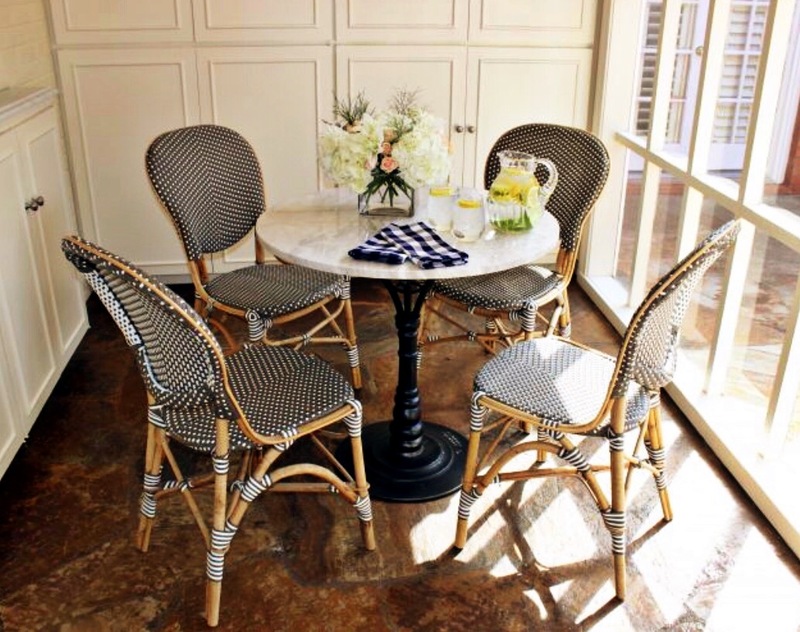 So, let me invite you to look inside the office of Leslie Hendrix Wood Interiors and those of Carla Aston, Laura D. Mueller, Jana Donohoe, Sheri Bruneau, Laurence Carr and Leslie Carrothers. Read on and you’ll find the links to their posts at the bottom of this page. Owning and running a successful interior design company has been a dream come true! Finding just the right space for an office took some time. I needed something with easy access because of all the samples I carry back and forth between my office and client’s homes. 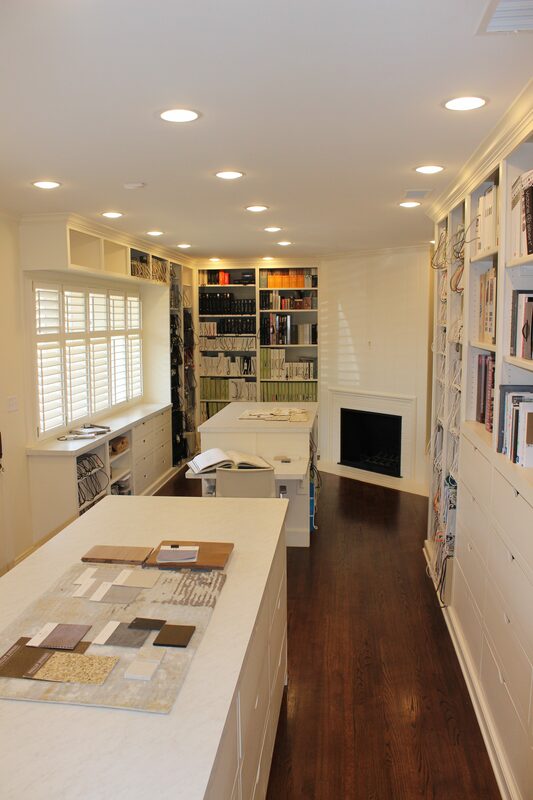 And a large room for a design library with lots of countertops for working. My first office was a small home not far from downtown. But several years later, against well meaning advice, my husband and I decided to spend even more time together and combine offices! Turns out that we hadn’t lost our minds but instead found the perfect place to set up shop! We found this charming home that is close to downtown in a safe neighborhood and it’s convenient to our home and my client’s homes. When I first walked through this house I knew I’d found our future office space! Hubby was on board so we drew up the plans. 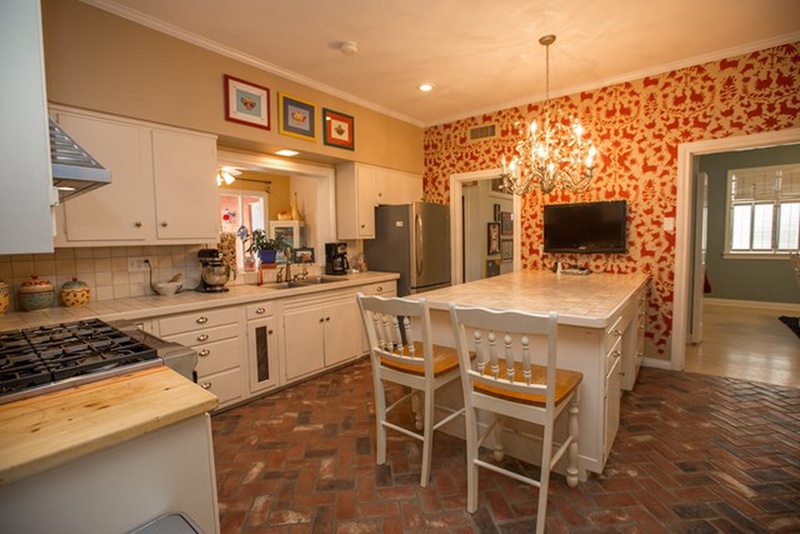 New floors, fresh paint, wallpaper, cabinets and hardware. We re-did the bathrooms, closed off the library and added storage. Installed landscaping, walkways, added some covered parking and finally moved in! 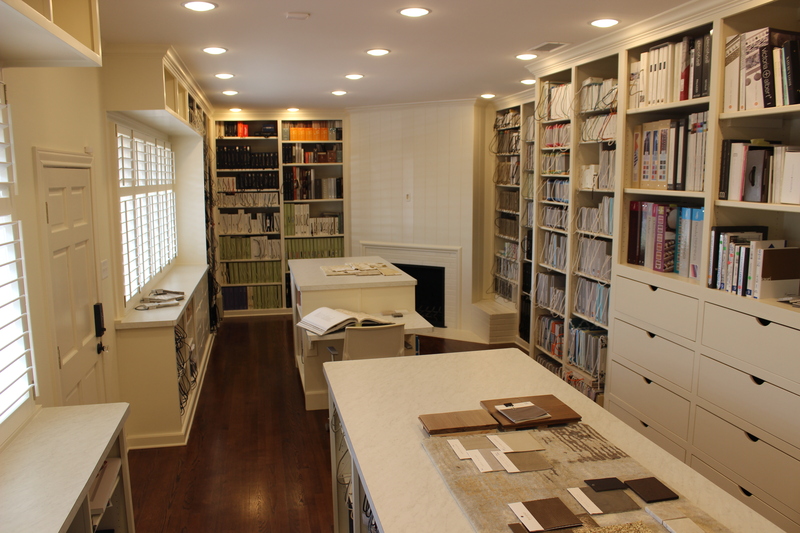 First and foremost in my design plans were my clients. This place is a reflection of me and the work I would perform for them. They should feel like they were visiting to my home rather than a sterile office space. 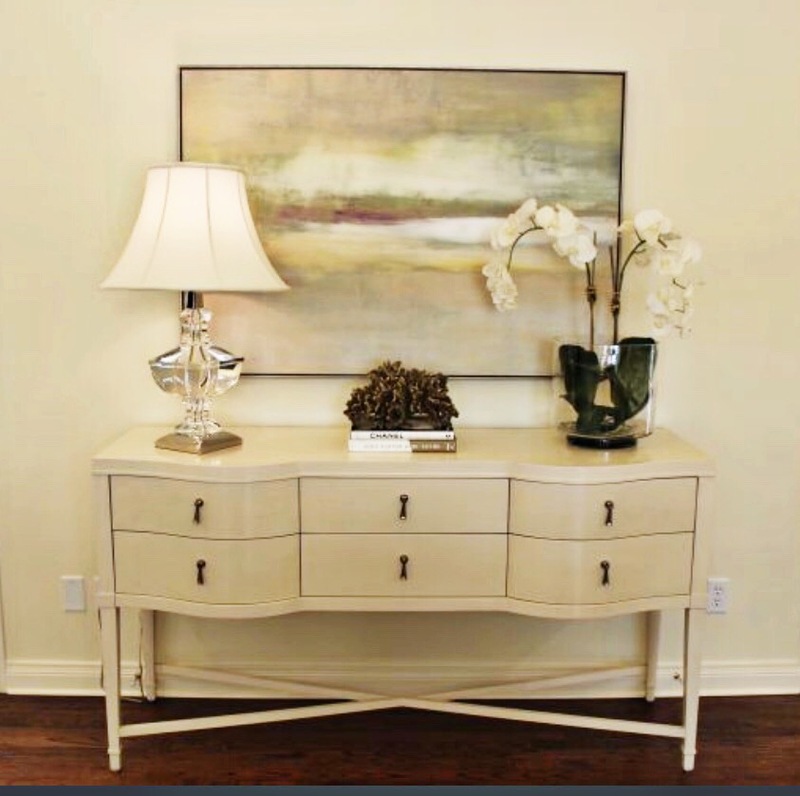 I selected a creamy neutral color palate that wouldn’t distract clients’ from reviewing the plans for their projects. The office furnishings are transitional style made by Bernhardt. The gold accessories pop against the creamy neutral and its picks up the gold in my desk and credenza. Gold is a classic color and I use it every time I can! The furniture is available at Wayfair.com. Here are the links if you’re interested for the desk and chairs and the credenza behind the desk. 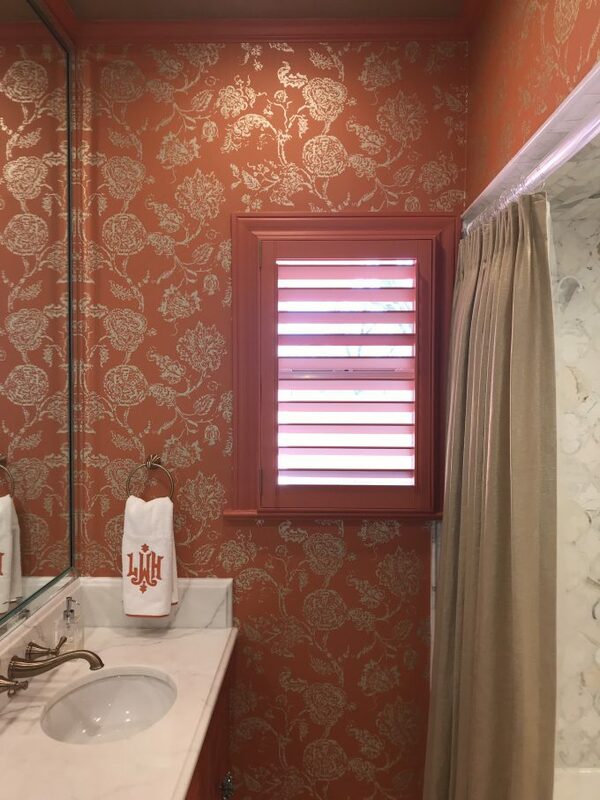 The colors are warm and vibrant and it feels like home! 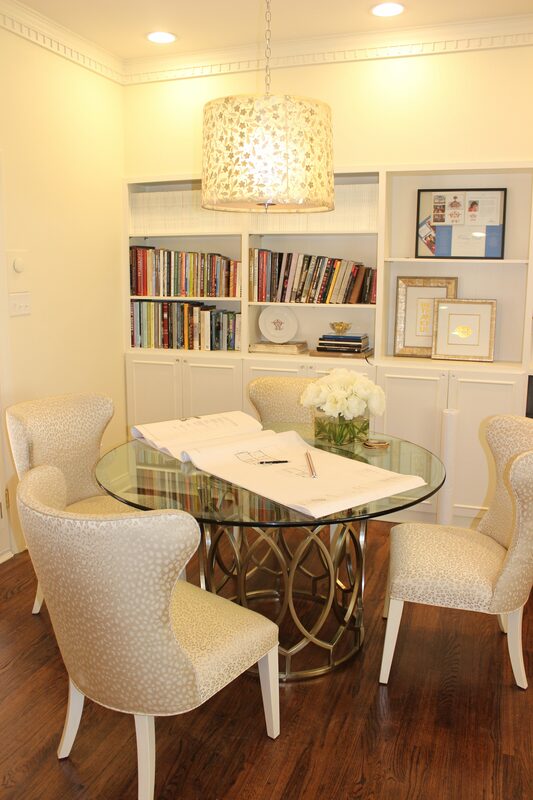 We do a lot of planning at this desk with contractors, clients and architects. The bookcases are full of my collection of Architecture Digest Magazines. Throughout the office you will find a touch of the outdoors with small bouquets of fresh flowers. Putting accessories on desks, tables, walls, and countertops will add life to any office and remove the sometimes dull, boring atmosphere. The library design focused on building enough space for work areas and storage. 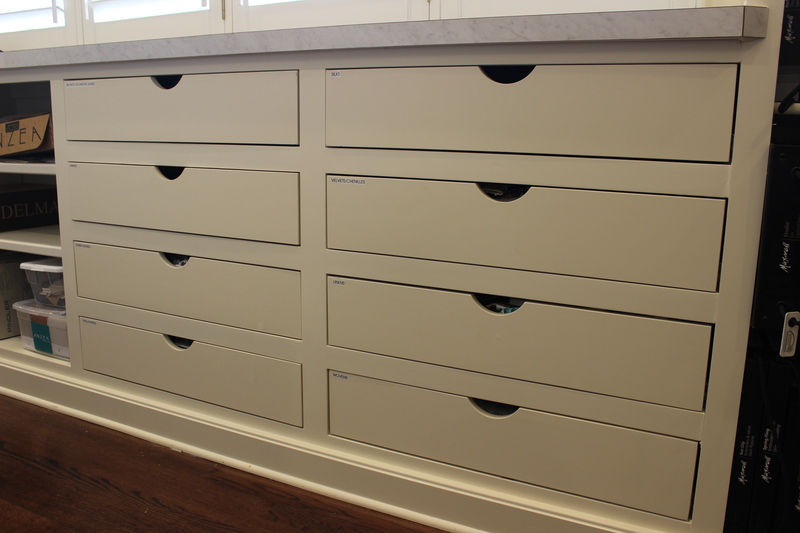 To create more storage in the design library, we added wall to wall cabinets and bookcases. We built 2 islands in the middle to create work space with more storage. I needed to add lots of areas to be able to spread out and work between different combination of samples, and multiple projects and this works great for me. We try to keep it clutter free, but some days it seems as if we’ve pulled everything off the shelves and out of the drawers. We share a lot of laughs in this place! Open shelving makes everything easy to find. And we couldn’t reach it without another office essential our ladder! 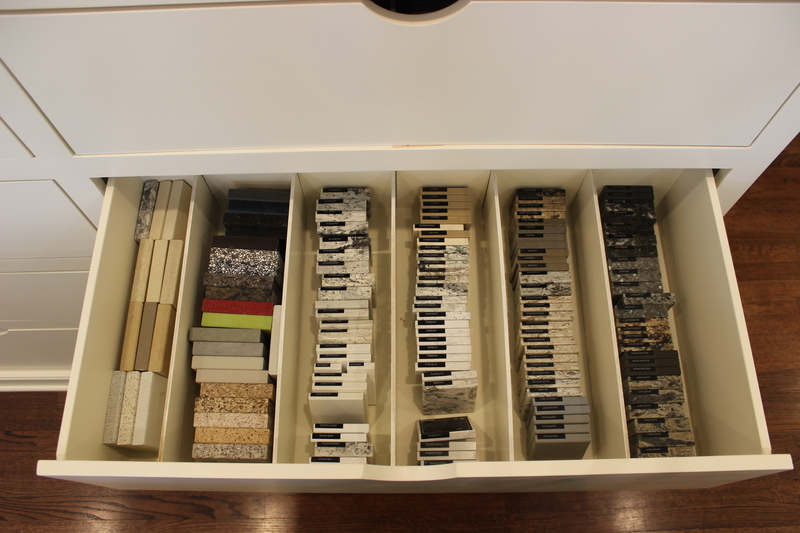 Drawers are the best way to hold fabric, tile, stone and wood samples. 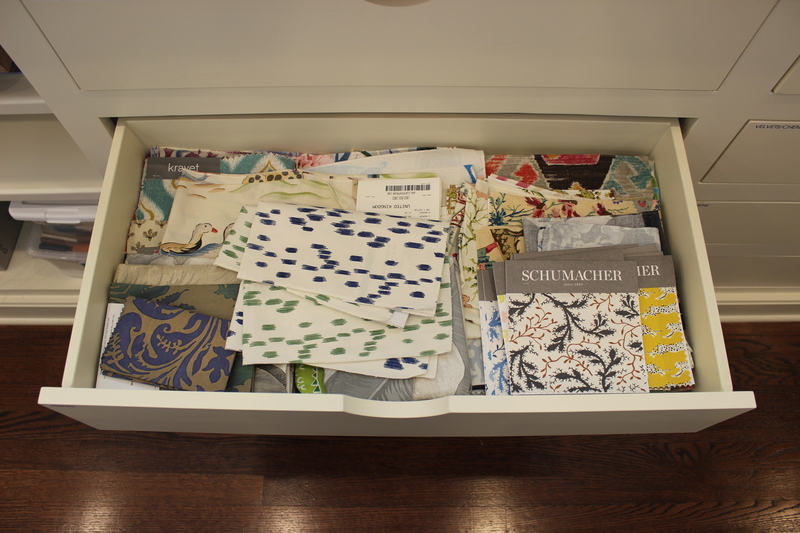 Labels on the drawers reduce the amount of time we spend searching! Having a place for everything allows me to work efficiently and not get overwhelmed! 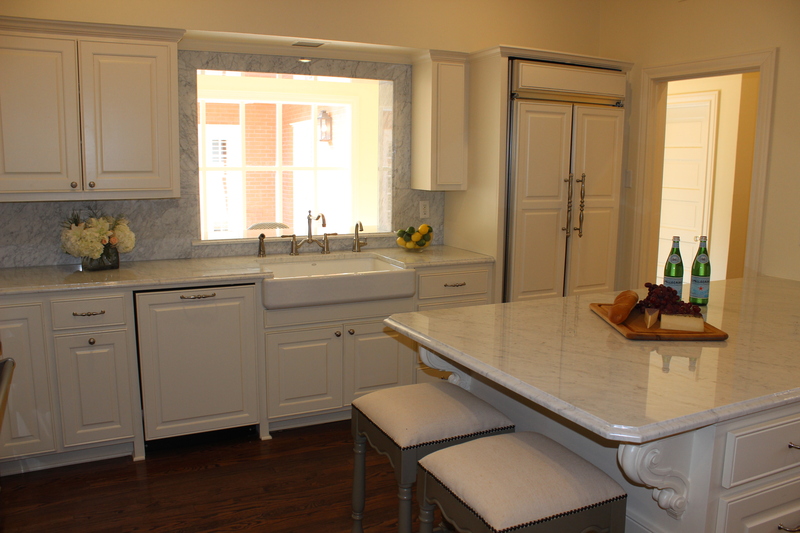 The kitchen is just right – not too big or small! It has everything we need to prepare light meals and drinks throughout the day. And of course our fridge, pantry and bar are stocked full of goodies for our clients! The old breakfast area doubles as a place to sit for a quick bite or another work space when I need to escape my office!! Funny how a change of scenery can add a fresh perspective! Every office needs one of these! 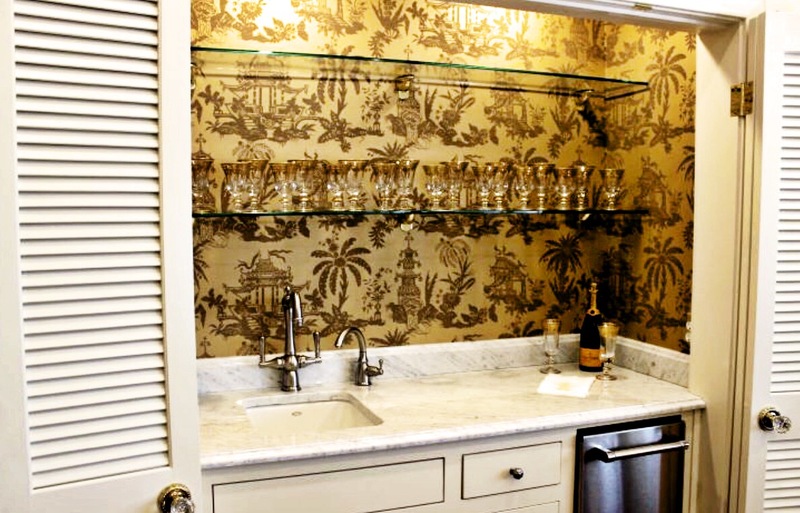 The bar is another special touch I wanted to have for clients, contractors and other visitors. Lighting is as important a design tool as anything and there was not enough of it originally. We installed enough lights so that I could see every nuance in the colors and textures I work with every day. 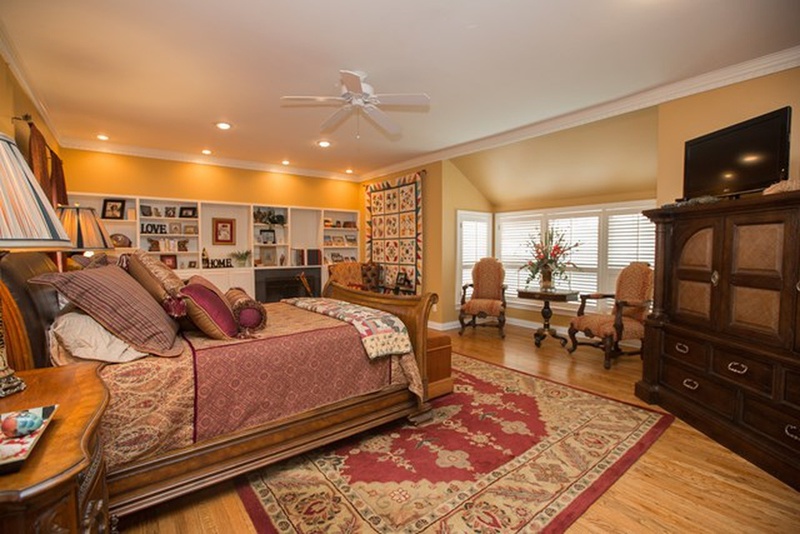 Read about how to use Lighting to Enhance a Room here. We each have our own style, budget and priorities when it comes to our offices, but we share one thing in common, and that is writing and creating for our Readers and Clients! LOVE LOVE LOVE how you have taken the entire house an turning it not only for office, but a statement of who you are as a designer. I can only imagine how inspiring it must be to visit your office as a prospect to client. Thank you so much for the kind comments! And thanks for reading. I am so glad that you were able to join in for this inaugural blog hop! I loved this inside peek into your new offices, and I can only imagine how much your clients must enjoy coming here, with that beautiful light streaming in through the windows. Glad to be a part of it! Thank you! Wow!! Such an incredible transformation. 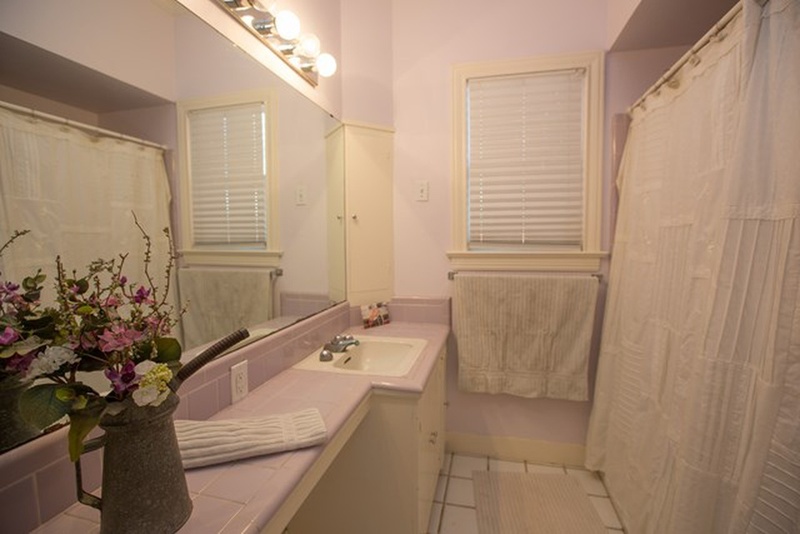 The soft white really brightened up the space. Beautiful!! Thank you so much! And, thanks for reading. Wonderful transformation. 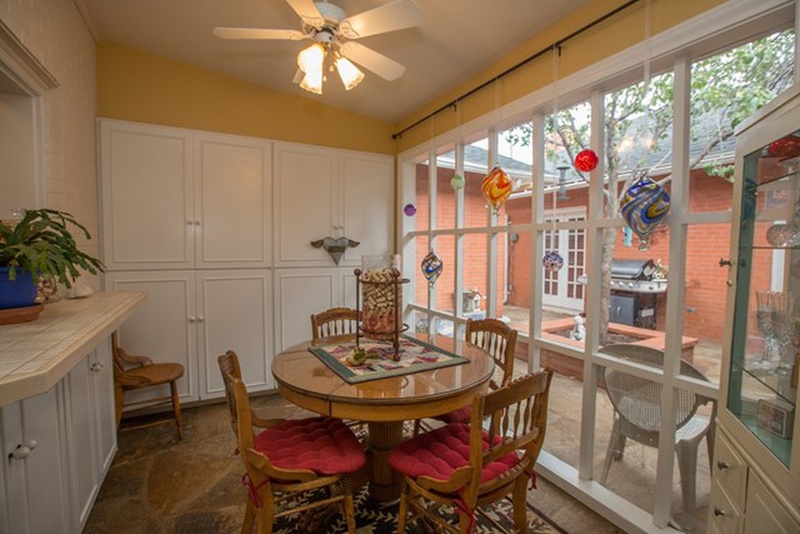 Looks like a great space for you and your clients! Thank you and we do love it here! And thanks for reading! Thank you – we love it here! Thanks for reading. Thanks for sharing your office! 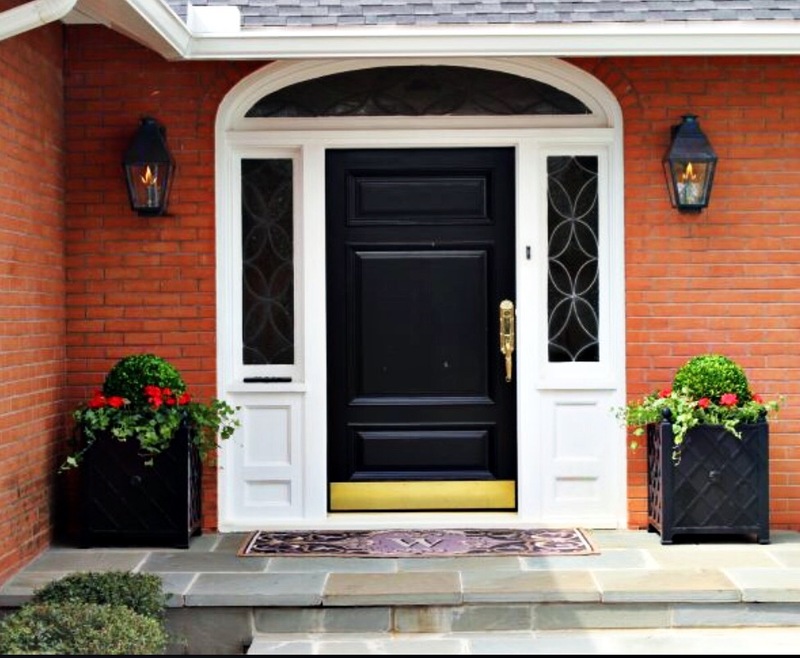 What a great idea to move into a house for a residential firm! It’s really beautiful! Thank you! I love coming to work here! Thanks for reading. Leslie, this is FABULOUS!! 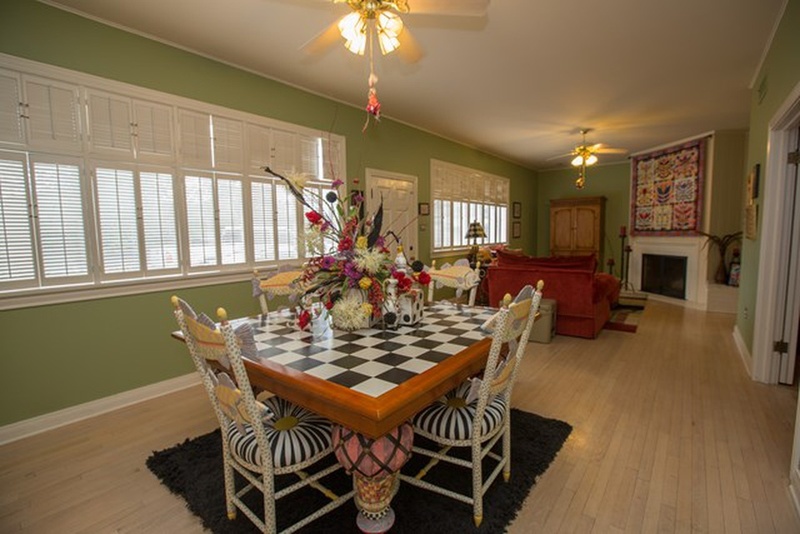 I’m sure your clients must be super impressed to visit you in this lovely space. What a great way to show them, in-person, what you can accomplish for them in their own homes. Thank you much for the kind words! 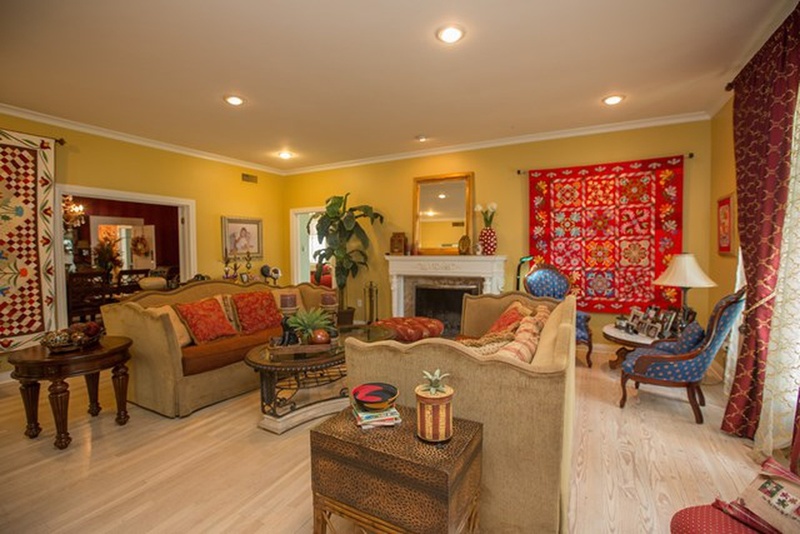 It is a great space for my clients to get a sense of my design style. Leslie – you are so talented! 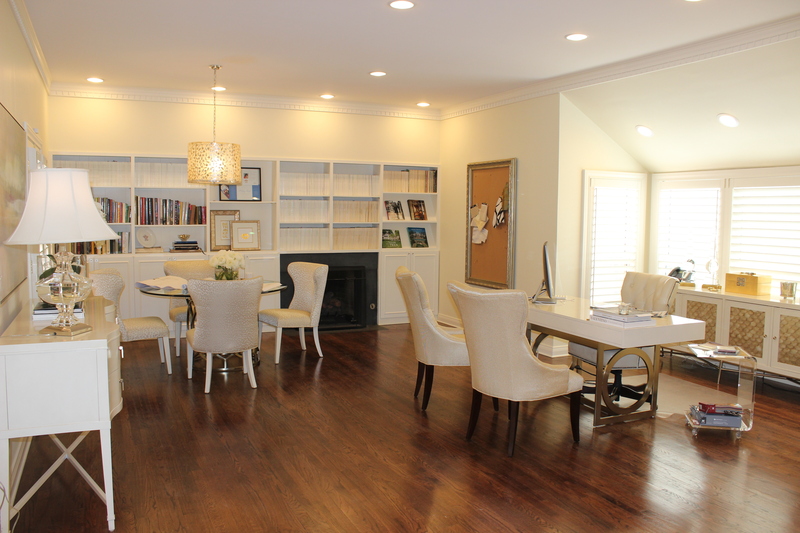 Your home is beautiful as well, but you probably never want to leave your office! You are so kind. I do love coming to work everyday. It is nice to be able to go home and turn off design. Thank you always being so supportive! I’ve got to come see! It’s lovely!! Come by anytime. I love coming to work here everyday! Leslie, I love how you have used every space wisely! I especially loved seeing a corner fireplace and how you worked around it. I too have a corner fireplace however,it will be coming out in the redesign of that space. Thank you for sharing your office! I loved seeing your plans for the ORC. I know it will be fabulous! Love your house used an office! After paying rent for so many years, I regret that I never did this. It’s a great idea! I love the way you transformed it too, especially that sample library. Looks like you almost have as many sample books as me! 🙂 Thanks for linking up today, Leslie! I was glad to be a part of this project! Thank you! Quite interesting post. Thanks for sharing this with us.